Hot Panda played Phog a while ago. It was a jammed bill, and they played two shows that day. It’s going to be great to have this group back, as they were wonderful to host, and we’ll all get to hear them nice and early on a weeknight. For those of you who haven’t noticed, for whatever reason, the shows occurring on the WEEKDAYS are starting around 9pm. It’s wonderful. You get to see a live show and head home before midnight! This will again be the case on Wednesday. What does Hot Panda sound like? “When you get compared, in the same breath, to everything from Daniel Johnson to the Talking Heads, you know you have a sound that’s hard to pin down. 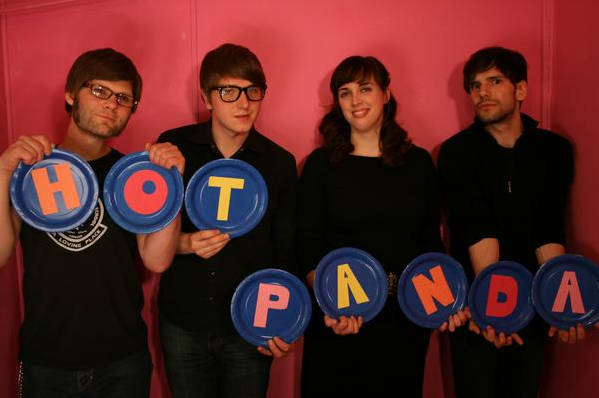 Since their formation during the particularly chilly winter of 2006, the members of Hot Panda (Maghan Campbell, Keith Olsen, Chris Connelly, and Heath Parsons) have yet to sit down and have the discussion that goes: “So, what should we sound like?”. The result is a swath of tunes that sound like anything and everything. Brit pop, gypsy swing, opera solos, Robert Pollard style lo-fi jangles, glammy Roxy Music keyboards, and “melodies that will be impossible to dislodge from your temporal cortex” (ChartAttack), all find their home in the music of Hot Panda…sometimes all in the same song! And now for Little Girls, from Toronto. There’s all kinds of hype about this squad. And for good reason. GO listen to their music and find out why. They’ll be touring with Japandroids a few dates after Phog, which is pretty substantial proof that they have SOMEONE’S ear. Another Paper Bag Records band comes to Phog to remind us why we even bother to bring in out of town bands in the first place. Read the Paper Bag Records write-up here. 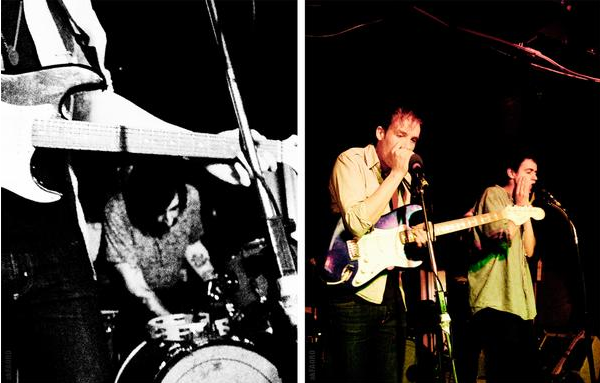 So come see these two bands for $5 on Wednesday at 9pm.